Pierre Sellal is a French diplomat and Ambassador, currently serving as the Permanent Representative of France to the European Union. He studied law in the Faculty of Law and Economics of the University of Strasbourg and is an alumnus of the École Nationale d’Administration. He started his career in the Ministry of Foreign Affairs, where he was responsible for the international economic relations with the United Nations and other international organizations. In 1980 he became a diplomatic advisor in the cabinet of the Minister of External Commerce and participated in bilateral (USSR) and multilateral (GATT) negotiations, conducted by France. In 1981 he joined the Permanent Representation of France to the European Communities for the first time, as an advisor in charge of European internal policies. Four years later, Sellal was appointed Secretary General responsible for the inter-ministerial Committee for the European economic cooperation by the Prime Minister, where he stayed for five consecutive years, serving under three prime ministers of France. From 1992 to 1995, Pierre Sellal served as the Deputy Permanent Representative in Brussels. He returned to France to serve as the Director of European Affairs in the Ministry and as Cabinet Chief of the Minister of Foreign Affairs (Hubert Védrine) during the “cohabitation” government of Lionel Jospin and Jacques Chirac. 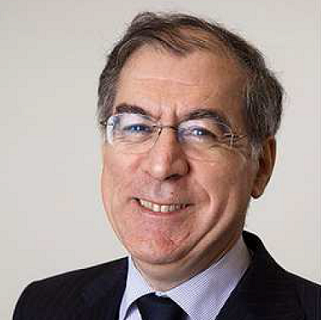 After the national elections of 2002, Pierre Sellal was appointed Permanent Representative of France in Brussels where he participated mostly in the enlargement process of the EU. In 2008, he received the title of “Ambassadeur de France”, and was named Secretary General of the ministry of Foreign Affairs in 2009, the highest dignity of the French Ministry of Foreign Affairs. In 2014, he returned to Brussels once again, serving as Permanent Representative to the European Union for the second time.